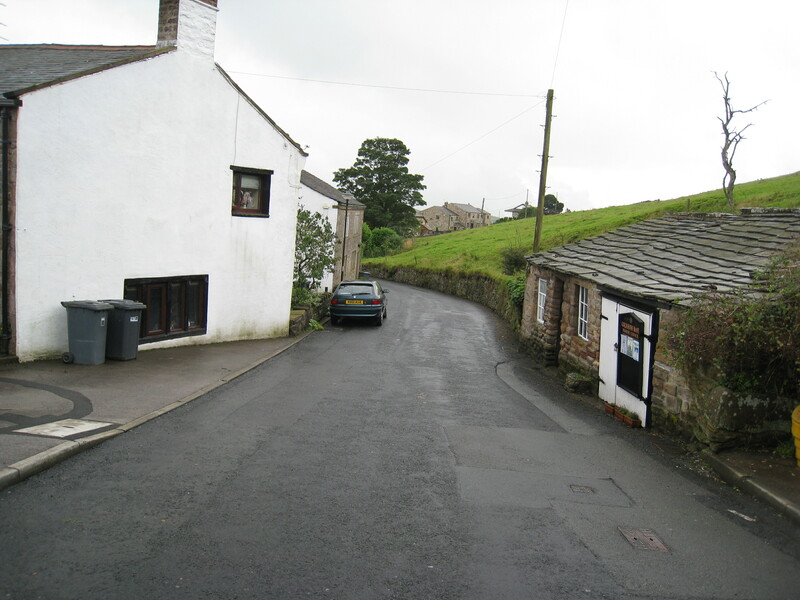 Newchurch-in-Pendle is an ancient village in the North of England, close to where several of the Lancashire Witches once lived and roamed. It has been a religious center since Druid days, with the first Christian building appearing around 1250. 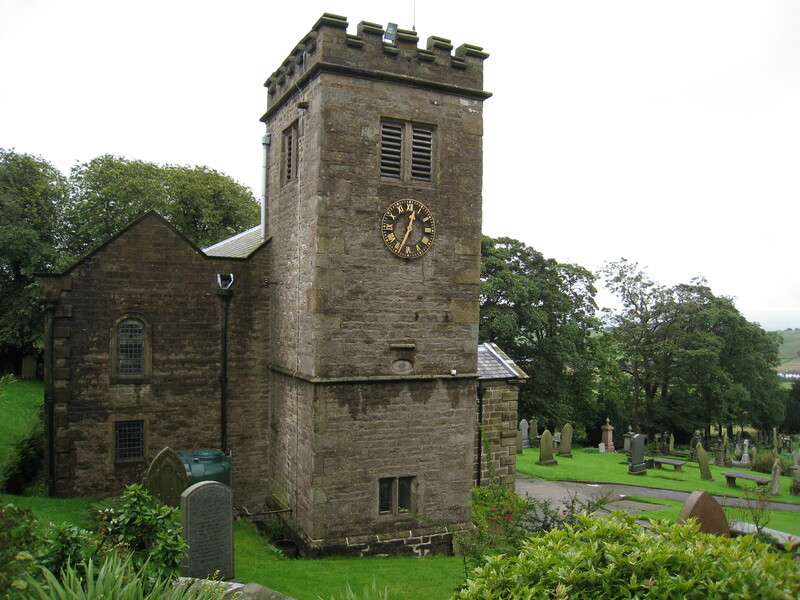 In 1544, a stone chapel was dedicated by the Bishop of Chester, possibly with the original tower. Then a gallery was added in 1915, though the current St. Mary’s Church that stands here today has been restored and renovated many times since throughout the centuries. The most fascinating feature is the carving on the west face of the tower (under the clock face) – a large eye said to symbolize the all-seeing Eye of God. In earlier years though, this may have been a talisman to ward off evil from the local cunning folk who were forced by law to attend services here every Sunday. Today, St. Mary’s is also one of the few remaining churches that still celebrates the medieval Rushbearing Festival with a special service each August. 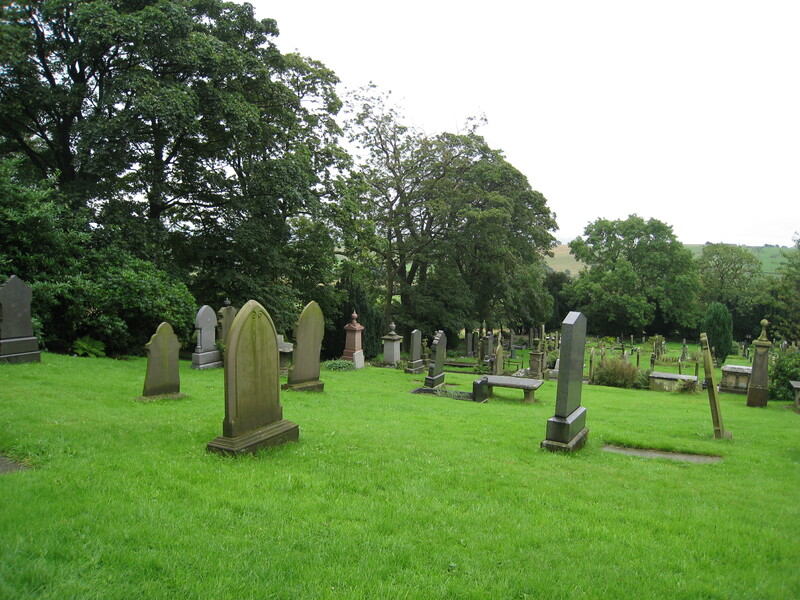 The graveyard contains the headstones of many old families. The Nutter plot (dated 1694) likely contains the descendants of Alice Nutter, one of the witches executed in 1612. From this consecrated soil, another witch – Old Chattox – supposedly stole twelve teeth that she later traded with her rival, Old Demdike. In later times the village funeral processions were led by two black horses, and when these were spotted coming over Nanny Maud Hill the church bells began tolling The Passing Bell. The Bone Room opens onto the graveyard, and for many years served as the Charnel House – a place where human remains were stored. These were skeleton parts that had either been dug up by accident, or intentionally removed to make room in a plot for fresh bodies. St. Mary’s Church is one of two major landmarks to have outlived the old belief in magic. 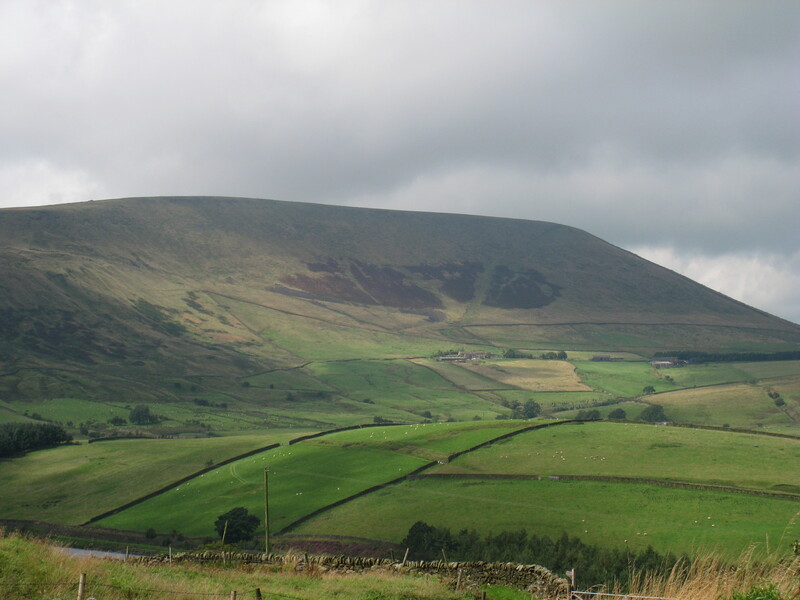 The other – providing its majestic backdrop – is the famous Pendle Hill. The Familiars is in many ways a modern gothic romance set against the backdrop of the Lancashire witch trials. It tells of seventeen-year-old Fleetwood Shuttleworth’s plight to provide an heir for Gawthorpe Hall after three unsuccessful pregnancies. She enlists the help of a mysterious local wise woman – Alice Grey – who later becomes one of the accused victims. After a string of dangerous adventures, however, things reach a satisfactory conclusion. Unlike other recent books on the Pendle Witches, Stacey Halls chooses a minor, overlooked historical character as her focal point. Alice Grey is a midwife who may or may not be associated with a familiar in the guise of a red fox, though any magic we see her perform is practical herbalism rather than supernatural spell-casting. Yet we experience Alice through the eyes of Fleetwood Shuttleworth, a privileged narrator far removed from the violence and poverty of the accused witches, who only rushes to help the midwife for personal gain. Halls’ description of the Well Tower in Lancaster Castle is the closet we get to understanding the harrowing ordeal that these real prisoners went through. But having read some of the early reviews, such sanitizing of historical unpleasantness may be necessary for the modern squeamish reader. The Familiars is an enjoyable story based on the few facts known about the events of 1612. I particularly liked the thoughtful observation that bearbaiting in London was popular because the bloodthirsty townsfolk did not get a chance to hunt! Halls’ historical research is sound, the setting well-crafted, and the characters consistent with the gothic romance genre. This novel will appeal to readers who want to taste what living through a witch hunt may have been like, but without any graphic information. What if the Lancashire Witches were actually guilty of practicing magic? 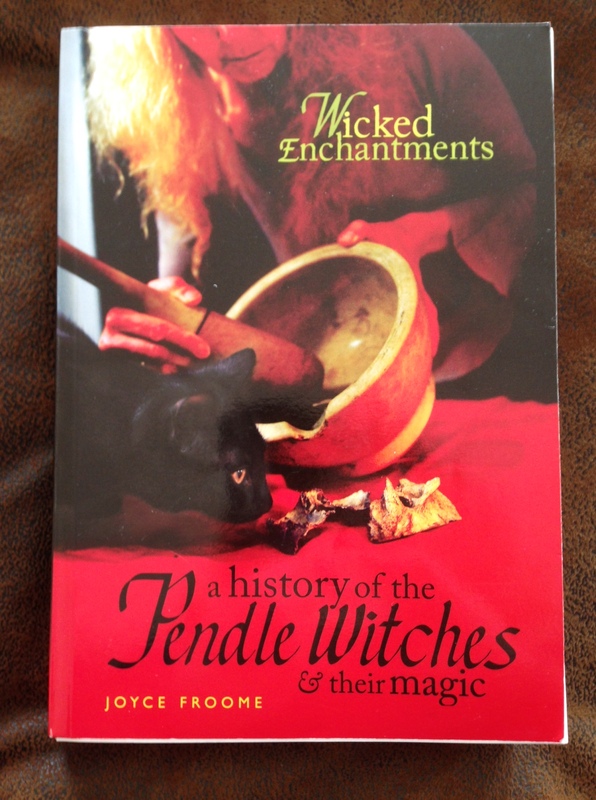 Joyce Froome’s book, Wicked Enchantments: a history of the Pendle Witches & their magic (Lancaster: Carnegie,2010) explores this possibility from the prespective of the two teenagers involved, James and Alizon Device. This unique compilation – based on the sound scholarly research of an assistant curator at the Museum of Witchcraft in Cornwall – focuses on the seventeenth-century rituals and spells that the poor cunning folk of Pendle may have used to eek out a living: love potions, healing tonics, protection charms, curses, good-luck talismans, fertility magic, and fortune-telling paraphernalia. In addition to multiple illustrations, there are also photographs of a modern family recreating many of the ancient rituals. The only negative comment I have is that the binding of my book fell apart from frequent reading! But aside from this, Wicked Enchantments is a fascinating, well-documented, alternative portrayal of the Device family. Their spells are clearly explained. And I fully concur with Froome’s conclusion that centuries later “there were still cunning folk around Pendle Hill . . . . Magic had survived both demonisation and ridicule” (310). Wicked Enchantments could have become a dry, intellectual, historical examination, were it not for the clever organization, and Froome’s subtle humor shining through the pages. I love her opening warning: “You are strongly advised NOT to attempt any of the spells described in this book – particularly the one that involves removing a tooth from a live wolf” (iv). Reader beware! Do you believe in witches? Careful! The history of the Craft is one of persecution – and this is a tale you won’t have heard afore since there’s none left alive to tattle. I’m the wisest woman in Pendle, as old as the soil. Listen when the wind whips the mist off the cairn and you may catch me howling. I’ll tell you all about The Hill – if you walk with me yonder on the dark side of the ridge, and if you cross my palm with silver. because you can never return to the time of not knowing . . .